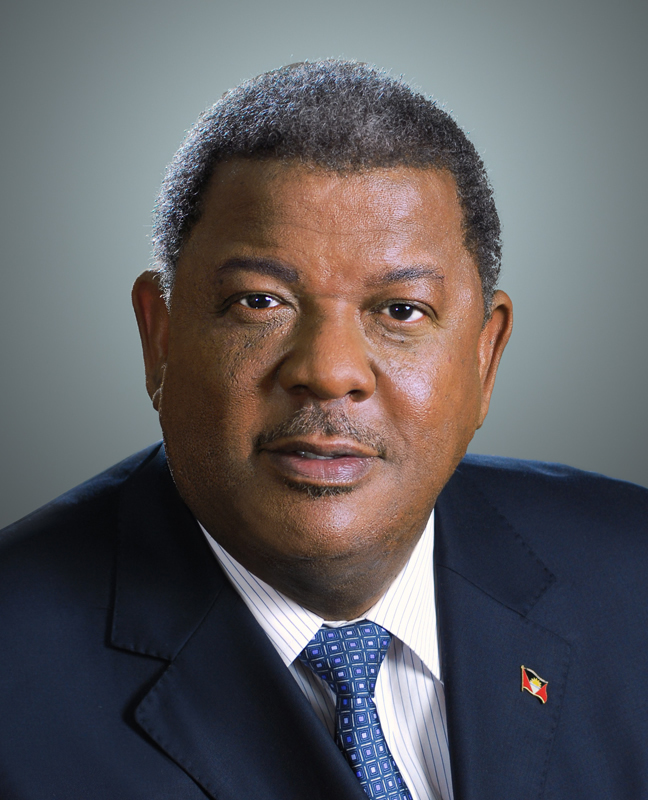 Winston Baldwin Spencer is the political Leader of the United Progressive Party (UPP) and former Prime Minister of Antigua and Barbuda. Winston Baldwin Spencer was born in Antigua on 8 October 1948 in St. John's, Antigua, the fourth child of Joyce and Martin Spencer. He is a proud product of the Grays-Green community and a graduate of the Green Bay Primary School and the Princess Margaret Secondary School. He received a diploma in Social Leadership from the Coady International Institute in Canada and Diplomas in Labour and Economic Studies and Labour and Industrial Relation Systems from Oxford’s Ruskin College and Norway’s Oslo University, respectively. Spencer continues to have special interests in cricket, football, steelband, reading and social interpretation. On the international stage, Prime Minister Spencer served as the Chairperson of the Grop of 77 and China at the United Nations in 2008. In May of 2008 he also assumed the Chairmanship of The Council for Foreign and Community Relations within CARICOM (COFCOR) and the Chairman of the Caribbean Community CARICOM from July 2008. In August 2008, Prime Minister Spencer received the African nation of Cote d’Ivoire’s highest honour, Commander of the National Order of Cote d’Ivoire, in recognition of his sterling leadership of the Group of 77 and China at the ministerial level. PM Spencer was also made an honourary hereditary Chief by Cote d’Ivoire in June and was given the title of Nanan Koussai II. In September of 2008, Prime Minister Spencer became the first leader to receive the Millennium Development Goals Achievement Award in recognition of his outstanding leadership and dedicated efforts in achieving the MDG’s and advancing the cause of development. After 10 years in power, the UPP was defeated by the ABLP in the general election held on 12 June 2014. Out of 17 seats, the UPP retained only three; Spencer won re-election to his own seat by a very narrow margin. Spencer accepted defeat, saying that the people had clearly chosen the ALP. He was succeeded as Prime Minister by ABLP leader Gaston Browne on 13 June. A devout believer in God, Prime Minister Spencer is also Chief Pathfinder in the Northern Hemisphere of the Seventh Day Adventist Church. He is married and is the father of two beloved children. 32nd Independence Day Message presented by Dr. the Hon. W. Baldwin Spencer, Prime Minister on 1 November 2013. 2013 New Year Address presented by the Hon. W. Baldwin Spencer, Prime Minister on 1 January 2013. 31st Independence Day Message presented by Dr. the Hon. W. Baldwin Spencer, Prime Minister on 1 November 2012. 30th Independence Day Message presented by the Hon. W. Baldwin Spencer, Prime Minister on 1 November 2011. 2011 New Year Address presented by the Hon. W. Baldwin Spencer, Prime Minister on 1 January 2011. 29th Independence Day Message presented by the Hon. W. Baldwin Spencer, Prime Minister on 1 November 2010. 28th Independence Day Message presented by the Hon. W. Baldwin Spencer, Prime Minister on 1 November 2009. 24th Independence Day Message presented by the Hon. W. Baldwin Spencer, Prime Minister on 1 November 2005. 23rd Independence Day Message presented by the Hon. W. Baldwin Spencer, Prime Minister on 1 November 2004. 23rd Independence Day Message presented by the Hon. W. Baldwin Spencer, Leader of the Opposition on 1 November 2003.